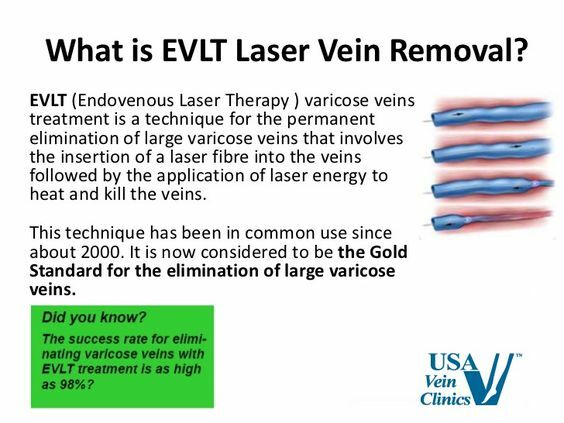 EVLT stands for “endovenous laser therapy,” because it treats a varicose vein with laser “heat” from the inside (endo means inside). 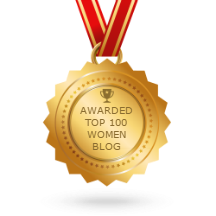 This is accomplished by making a tiny incision in the skin above the vein and inserting a fine narrow tube with a laser attached to it. 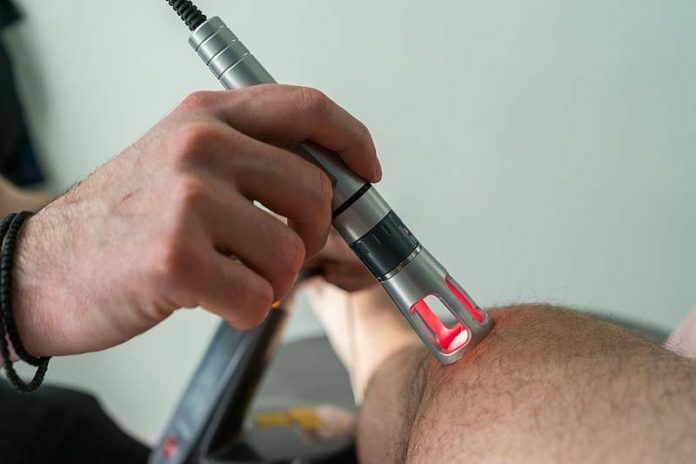 The doctor uses duplex ultrasound during EVLT varicose vein treatment to see inside the vein in real time so he or she can accurately guide the laser to the exact location of faulty vein valves and where laser energy is to be applied. The heat destroys the wall of the varicose vein causing it to shrivel up. Over the next few weeks, the body then naturally reabsorbs the tissue of the shriveled up varicose vein and the blood flow is forced to find a new pathway. 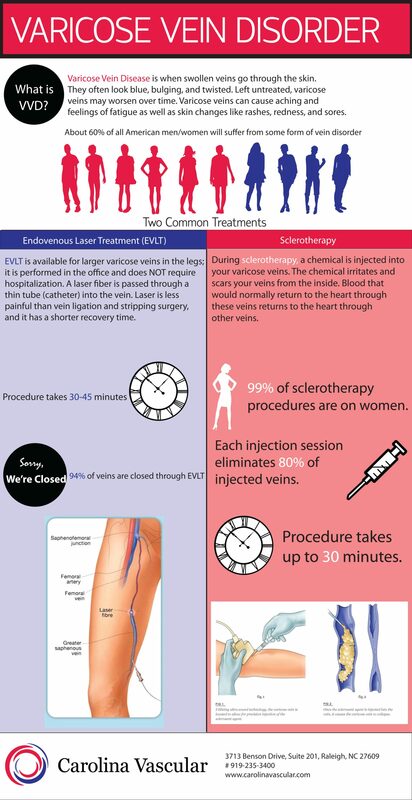 It has been well proven that EVLT varicose vein treatment is tremendously successful in the short-term. 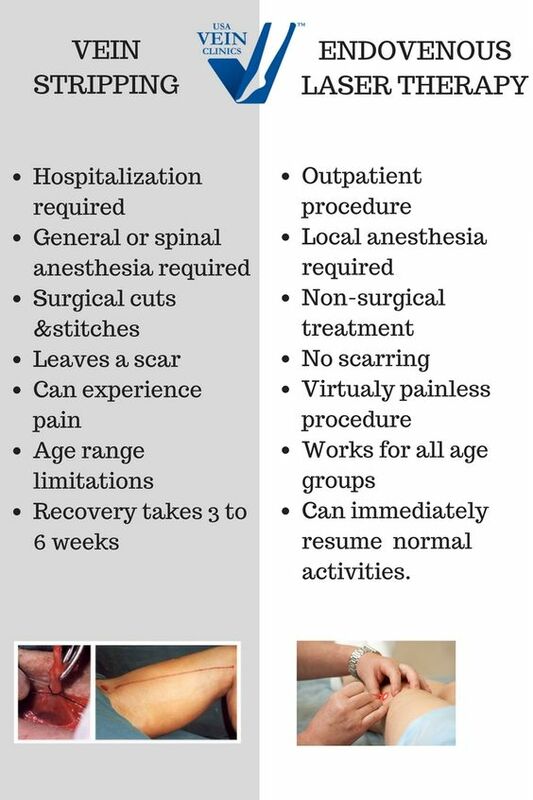 The vast majority of patients experience very little, if any, pain during the procedure and recover fully within two weeks. They are usually back to doing their normal every day routine the very next day! In almost all cases, if there is any bruising after the EVLT varicose vein treatment, it fades away within a week or two. 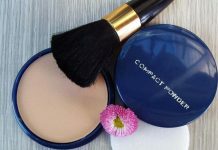 In rarer cases, the discoloration from the treatment can take a few months but it usually does completely fade away. 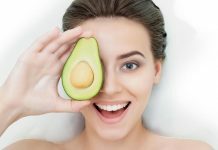 Most patients also report feeling much better within a month with symptoms like swelling, itching, throbbing, cramps, and the sensation of “heaviness” subsiding completely. 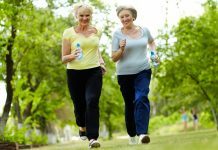 Many patients even become far more active because they feel so much better soon after their EVLT varicose vein treatment. The long-term efficacy of EVLT varicose vein treatment has not been as well studied as the short-term efficacy, simply as a matter of logistics. 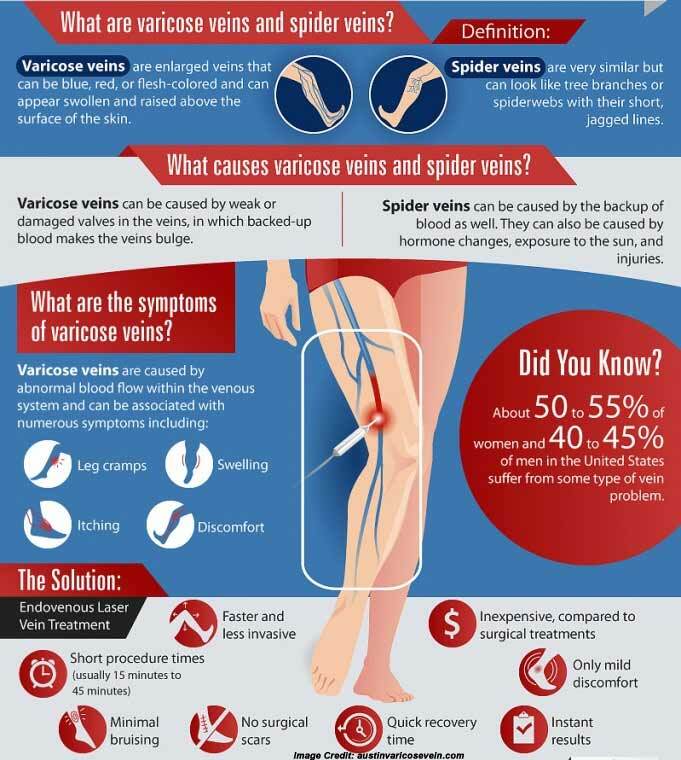 Typically, a vein doctor will follow up with a patient once or twice after the EVLT varicose vein treatment. 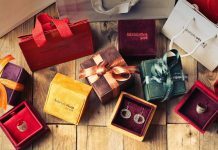 However, after about the three to six month mark, most vein doctors do not request any more follow up examinations if all looks well, unless the patient calls in with a complaint. Even then, it is not always completely obvious if the symptom(s) the patient is complaining about is due to the same varicose vein or another. However, there have been a few studies on the long-term efficacy of EVLT varicose vein treatment. A group of Irish medical researchers from Mater Misericordiae University Hospital recently published a study entitled, “Systematic Review and Meta-analysis of Randomized Controlled Trials Evaluating Long-term Outcomes of Endovenous Management of Lower Extremity Varicose Veins.” This study included a thorough review and statistical analysis of the scientific literature on the long-term efficacy of EVLT varicose vein treatment on the greater saphenous vein compared to the long-term efficacy using conventional treatment, including vein stripping and saphenofemoral junction ligation. 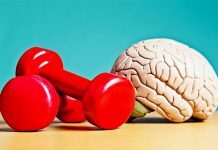 They pulled these published studies to analyze from several well known professional databases including Medline, Embase, Cumulative Index to Nursing and Allied Health Literature, Cochrane Library, Scopus, and Web of Science. Only studies where patients were followed for five years or more were included in their analysis. Their top concern was comparing long-term recurrence rates between EVLT varicose vein treatment and conventional treatment. However, the comparisons were not straightforward because different studies defined “recurrence” in different ways. Some defined recurrence based on duplex ultrasound evidence only (this is more scientifically accurate), while other studies defined recurrence based on clinical observation. Some studies counted it as a recurrence if another varicose vein developed in the same leg, while others only counted it as a recurrence if the varicosity occurred in the same area as the EVLT varicose vein treatment or conventional treatment was performed. Nevertheless, they did compare the number of recurrences between EVLT varicose vein treatment versus conventional treatment of the varicosities in the greater saphenous vein. For EVLT varicose vein treatment, some type of recurrence occurred in 36.6 percent of the cases within five years. In conventional treatment, some type of recurrence occurred in 33.3 percent of the cases within five years. Statistically, this was a virtual tie. 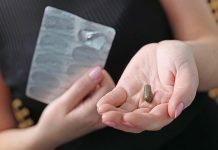 They also specifically mentioned that one EVLT study they analyzed reported that fifty percent of the recurrences occurred within two years after the procedure. The authors of this review paper concluded that there was no statistical difference between the outcomes of EVLT varicose vein treatment and conventional treatment like vein stripping and saphenofemoral junction ligation on the greater saphenous vein. However, the wide diversity in the design of the studies they were comparing leaves one to take the conclusion with a grain of salt, although it is still a very interesting result. 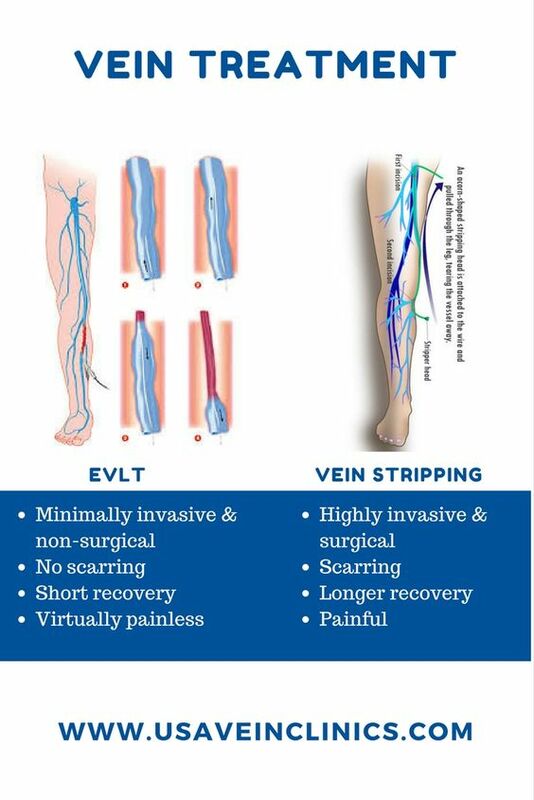 Further, the authors concluded that larger scale studies that specifically address the long-term efficacy of EVLT varicose vein treatment versus the long-term efficacy of conventional within the original design of the study would be helpful. If you have varicose veins, or suspect you do, and want to explore EVLT varicose vein treatment with some of the top experts in the field, you can contact Metro Vein Centers for a free evaluation. 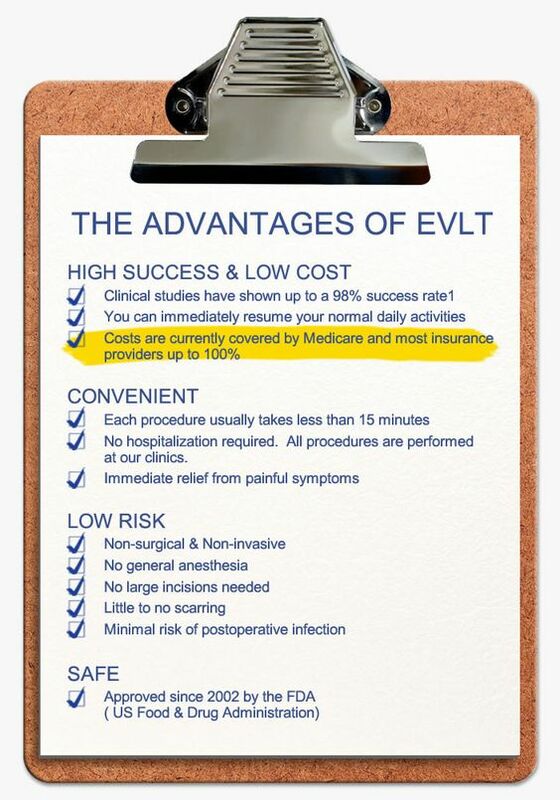 The Metro Vein Centers have top-rated EVLT specialists so you’ll be in good hands. These specialists may also offer you other options for your specific condition. what is good for varicose veins?